Observe the markings on the bearing caps. 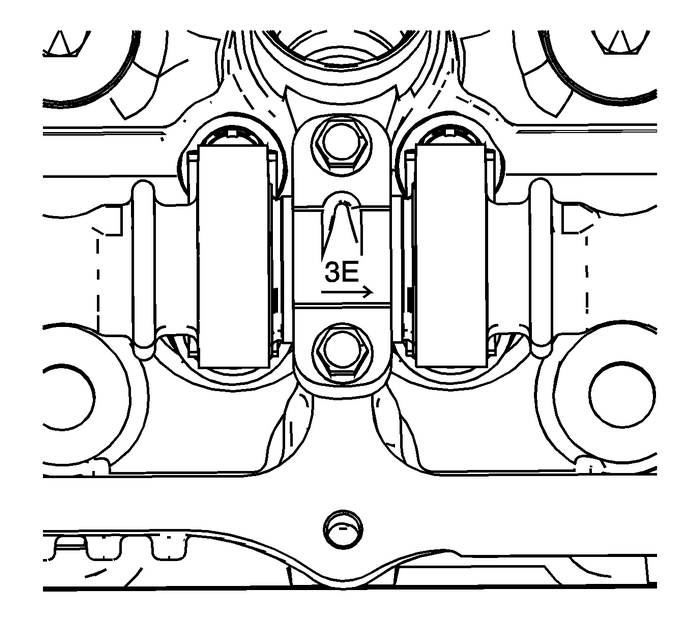 Each bearing cap is marked in order to identifyits location. 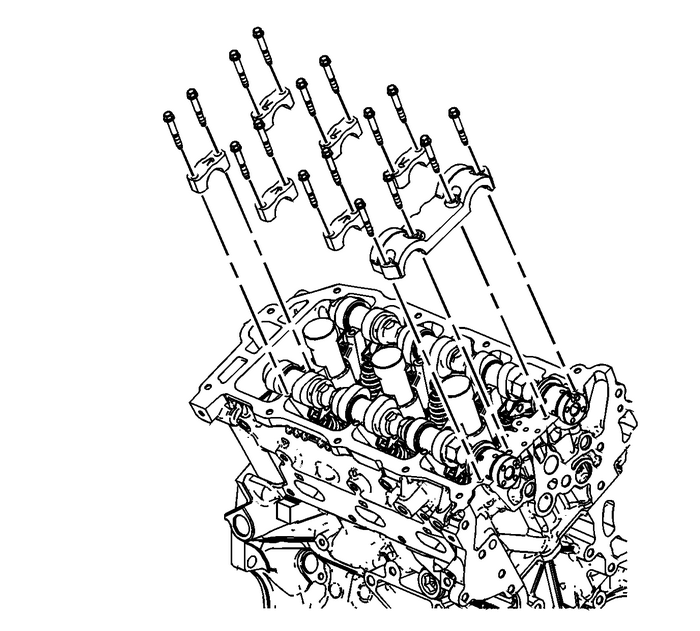 The markings have the following meanings:The raised feature must always be oriented toward the center of the cylinder head.The I indicates the intake camshaft.The E indicates the exhaust camshaft.The number indicates the journal position from the front of the engine. Remove the camshaft bearing cap bolts.Remove the camshaft bearing caps. 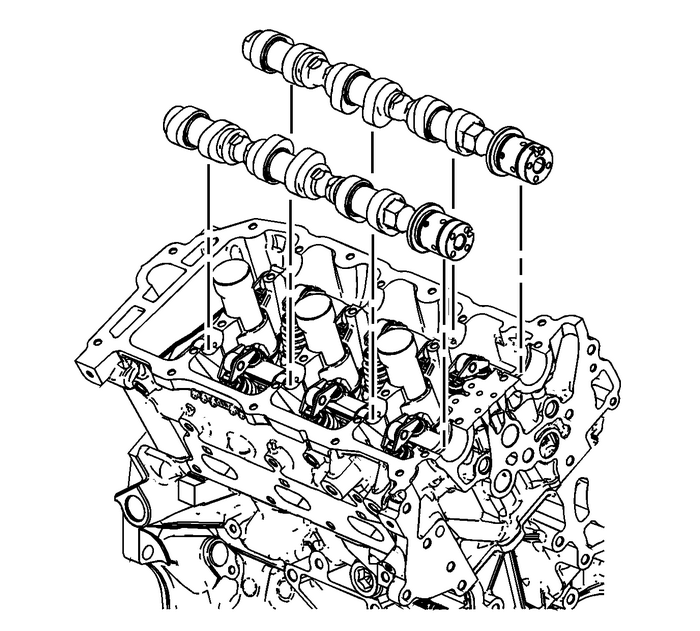 Important:Mark the camshafts upon removal to ensure installation is in the correct position.